The first year AES Wind Generation’s Buffalo Gap Wind Farm deployed unmanned aerial systems to inspect its turbines, the team found about $1 million worth of blade damage that needed repair. That was in 2014, and over the last two years the farm has continued to work with AAIR, the company that operated the UAS, to make wind turbine inspections more cost effective and safer. The team at Buffalo Gap only planned to inspect a small percentage of its 295 turbines that first year, Calcote said, but because the initial inspections identified a lot of lightning damage at one of their three Texas sites, they decided to inspect every turbine there. 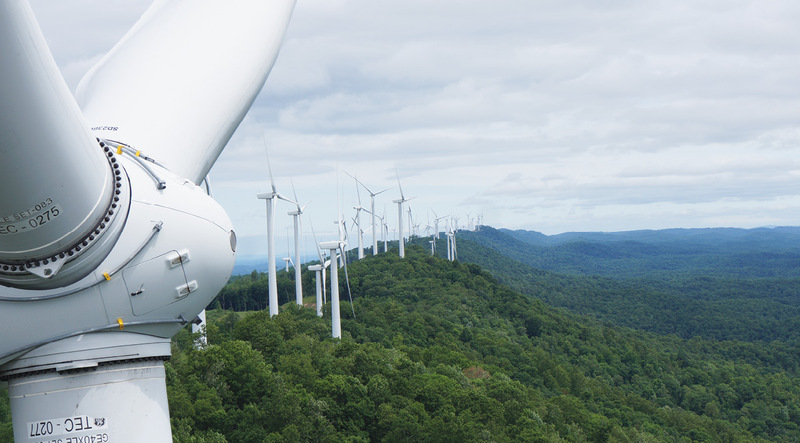 The goal each year is to inspect two thirds of the turbines at every site, a task UAS makes much easier to achieve. Like Buffalo Gap, many other wind farms across the globe are turning to UAS to perform these critical inspections. As of early 2015, there were about 270,000 wind turbines operating in the world, according to Navigant Research, with a total of more than 800,000 blades that need assessment. 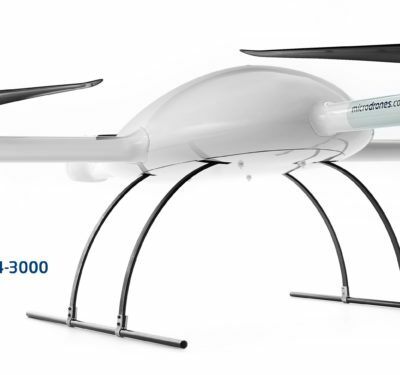 With cumulative global revenue for wind turbine UAS sales and inspection services expected to reach close to $6 billion by 2024, there’s a lot of potential work for UAS. Before drones, there were typically two ways to complete wind turbine inspections—by climbing the tower and rappelling down each blade to capture images or by taking still photos from the ground, Leaverton said. Rappelling is both dangerous and time consuming—it takes a half day to a day to inspect a turbine this way, something a drone can complete in about 45 minutes—while the ground-based photos just don’t provide the level of detail needed to detect various analomies, said Kevan Rusk, director of the University of North Dakota Technology Accelerator. UND is working with various companies, including EdgeData and LM Wind Power, to study how to automate wind turbine inspections using drones. Rusk worked at LM Wind Power for several years and estimates deploying UAS for these inspections increases the amount of throughput by at least 10 times, even more once the companies get into a rhythm. 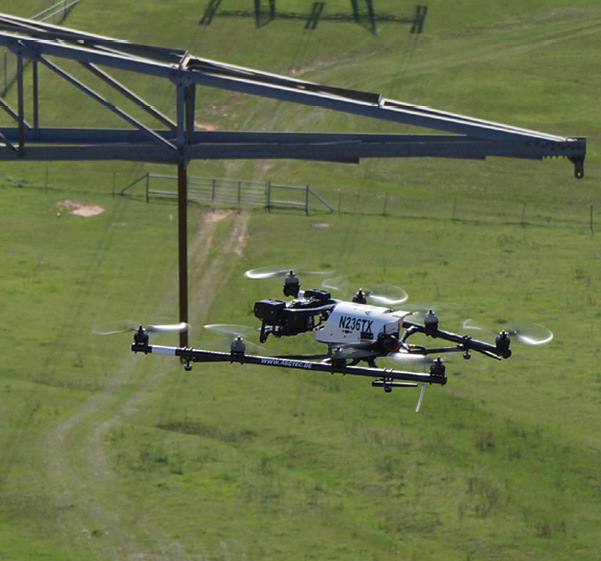 It also takes about an hour and a half to inspect one turbine from the ground, said Russel Peck, director of Worldwide Inspection Services for Strat Aero, a company that recently worked with Westar Energy to perform turbine inspections with the DJI Inspire. Moreover, the turbine blades must be moved in various directions so the ground photographers can get the images they need, which tends to be hard on the turbine’s mechanics. The turbines can’t run during these inspections, and shutting them down costs the farms money, said Ian Glenn, CEO of ING Robotic Innovation. The UAS manufacturer completed wind turbine inspections at Capstone Infrastructure in Canada last year and plans to go back this summer. 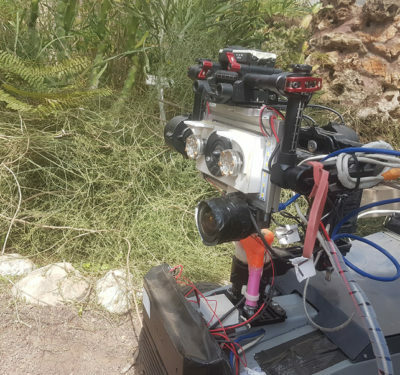 They found the quicker inspections drones provide lead to much less downtime. After a wind turbine inspection, owners want to determine what repairs need to be made, Leaverton said. They want to know the current health of the fiber glass blades and what damages have occurred over time. They’re looking for lightning damage, cracks, missing chunks, leading edge erosion and any other anomalies that might impact performance. Blades develop leading edge erosion from sand and dirt and the fact they’re spinning 200 miles an hour for long periods of time, Peck said. That erosion hampers the blade’s aerodynamics, affecting the capability of the blade to turn and generate electricity; ultimately the wear and tear could lead to structural issues. Even small cracks, if not addressed, eventually could be fatal for a blade, Peck said. UAS make it possible for owners to find analomies they normally wouldn’t be able to see and to fix problems while they’re still manageable. One of the biggest challenges facing UAS manufacturers and wind farm owners is managing and interpreting the data that’s collected, said Chris Shroyer, president of EdgeData. During an inspection a drone typically takes 1,600 photos of each turbine—and looking through all those photos can be time consuming, even overwhelming. Through the partnership with UND and other companies, EdgeData is working to develop a software platform and process to help owners manage the data and integrate UAS inspection into their operations and maintenance program, Shroyer said. images from past and future flights. They also have software that measures the size of an anomaly, which isn’t apparent in a close-up picture. Strat Aero and AAIR also provide data management. Strat Aero offers customers a customizable data management system, where they have access to any turbine that’s been inspected any time they need it, Peck said. They also provide a report that evaluates the photos and makes it easier for owners to decide which repairs to make. AAIR recently developed a cloud-based asset portal that organizes and streamlines critical information for wind turbine owners, Leaverton said. These electronic records are searchable and more actionable for owners. While actually flying the UAS is typically pretty smooth, there are other challenges operators and wind turbine owners need to consider. One of those is battery life, Peck said. Batteries typically need to be changed after 20 minutes, even sooner if you’re operating in cold weather and can’t keep the battery properly heated. Geotagging, determining naming conventions and properly stitching the images proved difficult for the team at the University of North Dakota at first, Rusk said, which goes back to finding ways to processing the data collected. Until recently, many wind turbine owners didn’t perform inspections as often as they should, mainly because it cost too much and took too much time. UAS offers a quicker, safer and more cost effective alternative, so wind farm owners can more easily get the information they need instead of skipping regular equipment assessments and hoping no damage has occurred. 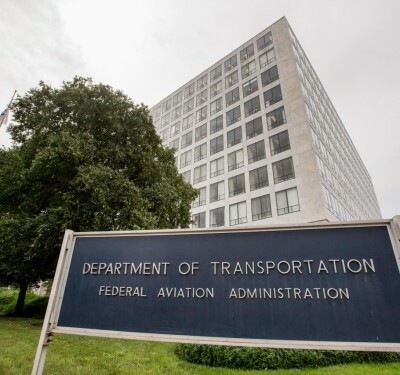 And the process for setting up drone-based inspections will hopefully get easier once the Federal Aviation Administration releases its regulations for small UAS. While the unsettled regulatory climate creates hurdles, Rusk said, the fact wind turbines are in rural areas away from congestion and airports makes it easier to fly UAS for this type of inspection. 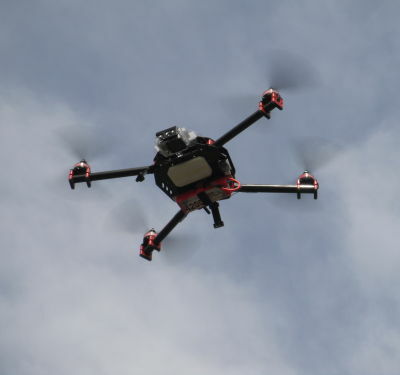 As the technology, image processing expertise and data management capabilities improve many see using UAS becoming the standard for this type of work. Eventually the data processing algorithms will enable the system to tell owners the difference between an actual crack and a non-damage anomaly, saving them even more time and money. Wind farms like the ones Calcote works for will continue to look to UAS for these inspections, not only making it easier for them to collect the data they require but to also run reports and determine which repairs to prioritize. It’s been a pretty smooth process for Calcote and his team, and eventually they’d like to get to a place where they’re performing spot inspections on their own. This will help them get even more out of this technology and ensure their blades are working as they should be.